If you are still on the look out for a stable, smooth and fast custom firmware to flash on your HTC flagship smartphone, look no further. 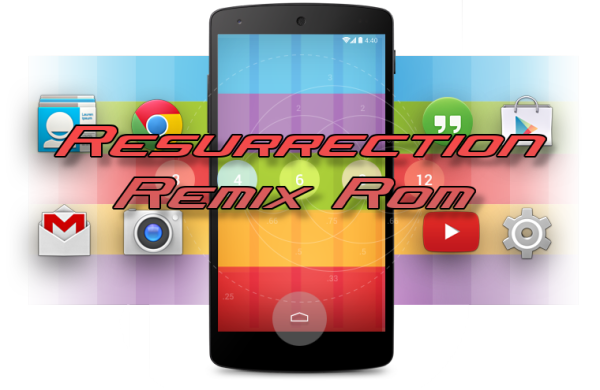 After we shared the popular TeamUB custom ROM with you, today’s time for another equally popular and fast ROM – the Resurrection Remix Android 5.1.1 custom ROM for HTC. To read further about the ROM and its extensive features, scroll down. You will also find an easy and simple guide to update HTC One to Android 5.1.1 based Resurrection Remix ROM. Download Resurrection Remix Android 5.1.1 Lollipop custom ROM for HTC One M8. Extract the boot.img file. Also download the GApps package for your device. Connect your HTC One to your computer using a USB cable and copy the ROM and GApps zip files to your phone’s SD card root folder. Copy / paste the boot.img file to the Android-sdk-windows\platform-tools directory. Disconnect the USB cord and power off your HTC device. Once in the Fastboot mode, navigate to android-sdk-windows\platform-tools directory on your computer and open command prompt with Shift + Right-click combo and click on the Open Command Prompt. Follow the onscreen instructions and select Bootloader > go to Recovery. Once in recovery, perform wipe data task: from CWM recovery menu, select wipe data / factory reset and confirm the process. From recovery main menu, select install zip from sdcard followed by choose zip from sdcard. Locate the Resurrection Remix Android 5.1.1 custom firmware file and confirm the flashing process. Once the ROM is flashed successfully, repeat the above step but select GApps package this time. Return back to main recovery menu and reboot your HTC One M8 into the new custom ROM. First boot takes a good 5 minutes so please be patient. Enjoy the new ROM with fresh feel of Lollipop.